Pictures are what truly turn a house into a home. When you get home after a long day of work and get to see all of your family and friends smiling out at you from the pictures on your wall and mantel you always feel a little bit better and calmer, right? Unfortunately, picture frames can also scratch walls, tables, or other surfaces if you aren’t careful. They can also fall over and break if someone bumps a table. If you manufacture picture frames and want to stand out from the competition, consider adding recessed rubber feet to your frames. Whether your frames are meant for hanging or standing, recessed rubber feet can keep your frames from damaging your customers’ home. The bumper feet prevent frame edges from scratching surfaces. They also make excellent shock absorbers, so your standing frames can survive everyday bumps and falls. 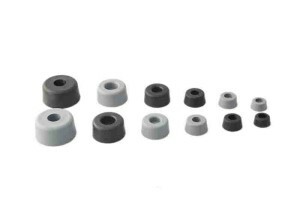 To learn more about recessed rubber feet, contact Budwig Molded Products today.